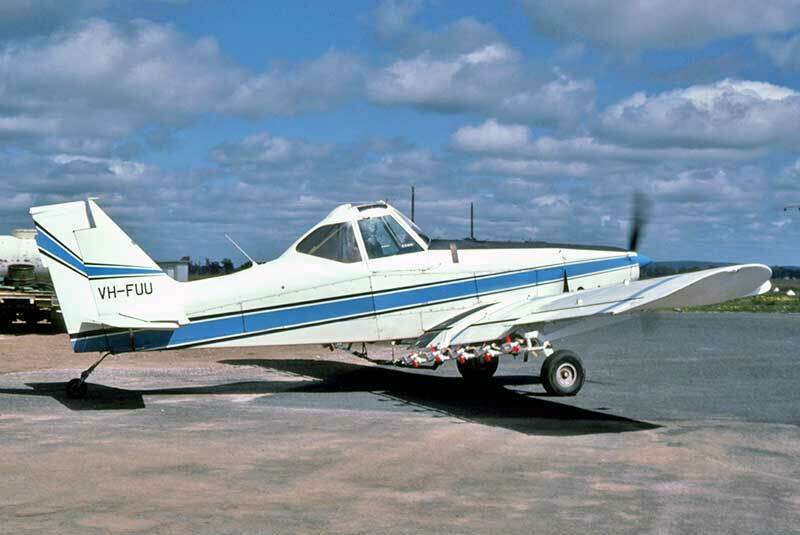 Piper PA-25 Pawnees were still in widespread agricultural use in the 1980s. 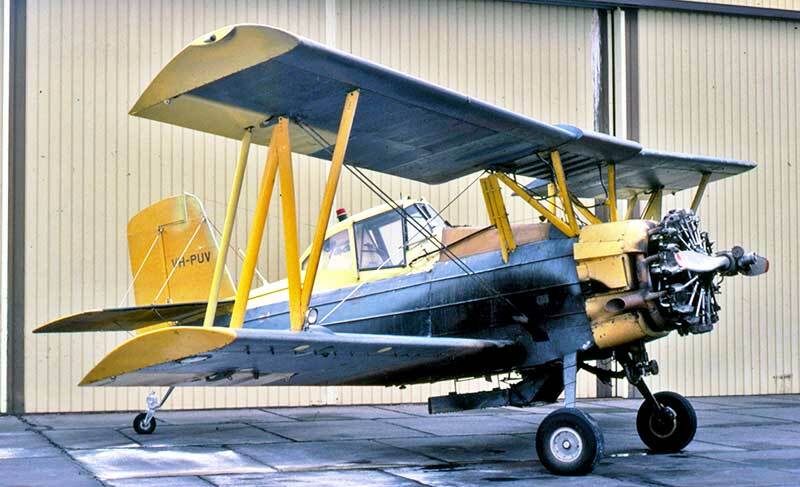 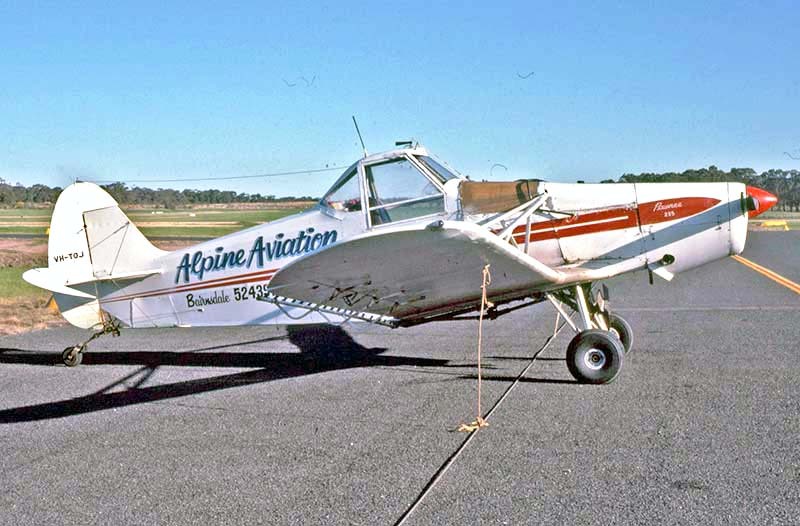 The original lower-powered Pawnee 150 had been almost entirely replaced by the highly successful Pawnee 235 model. 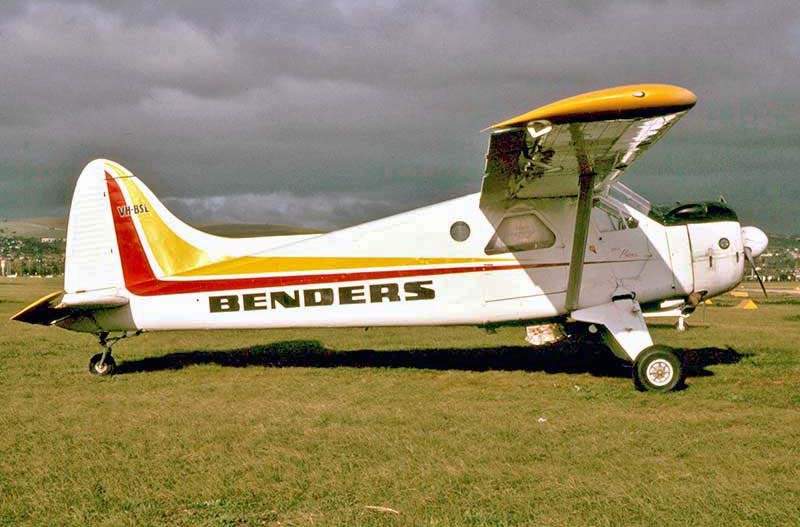 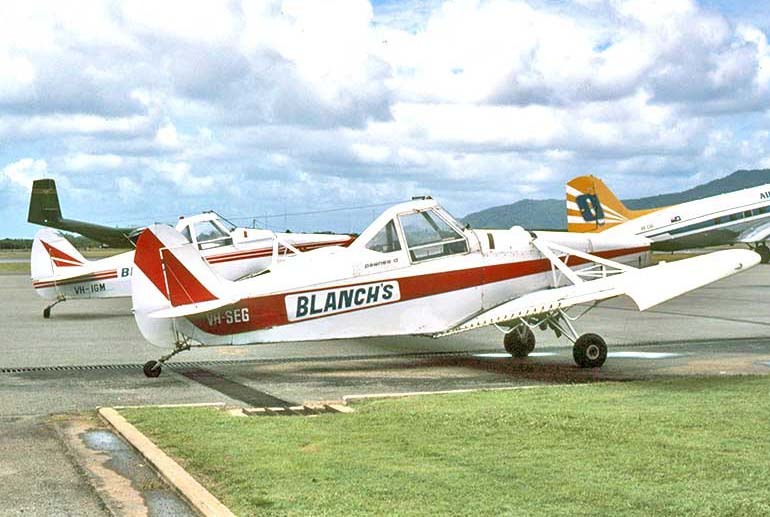 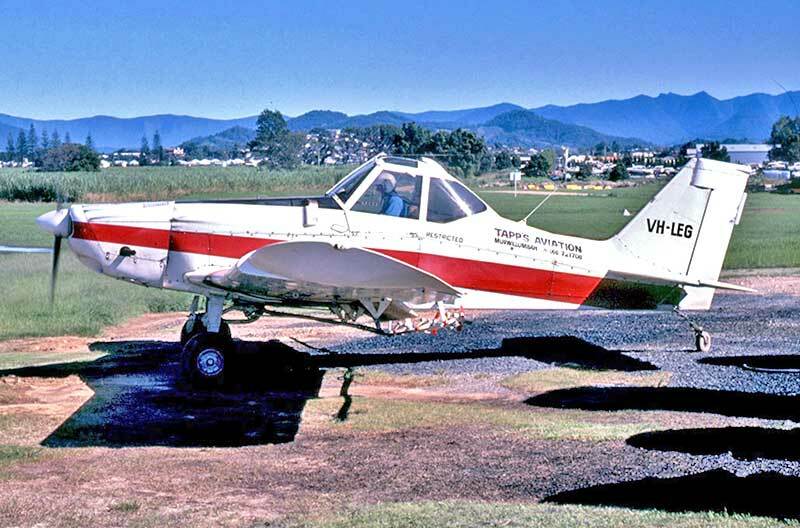 Far North Queendsland Soaring Centre's Pawnee 150 VH-PAG tug at Mareeba Qld in March 1984. 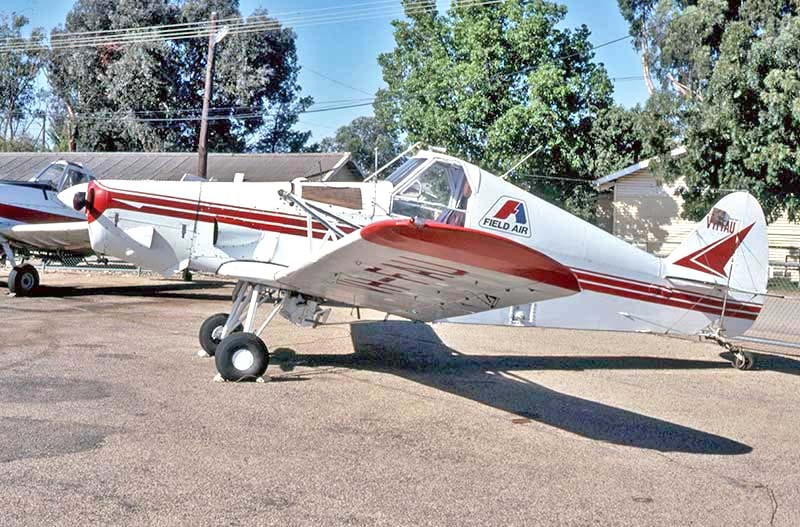 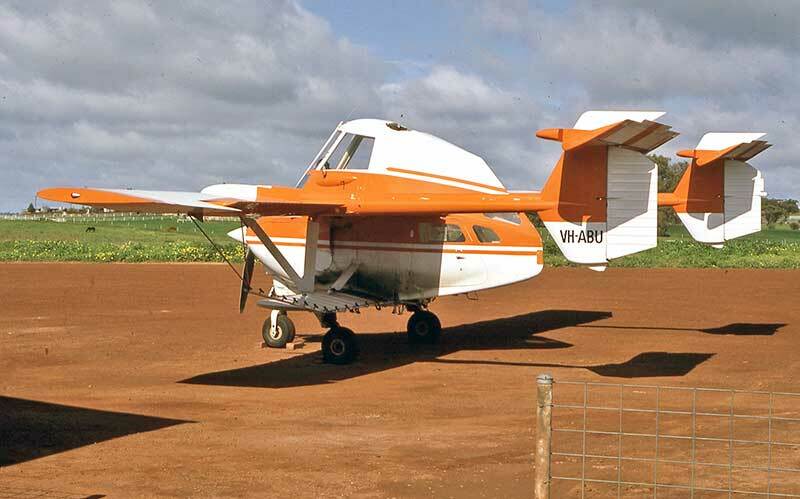 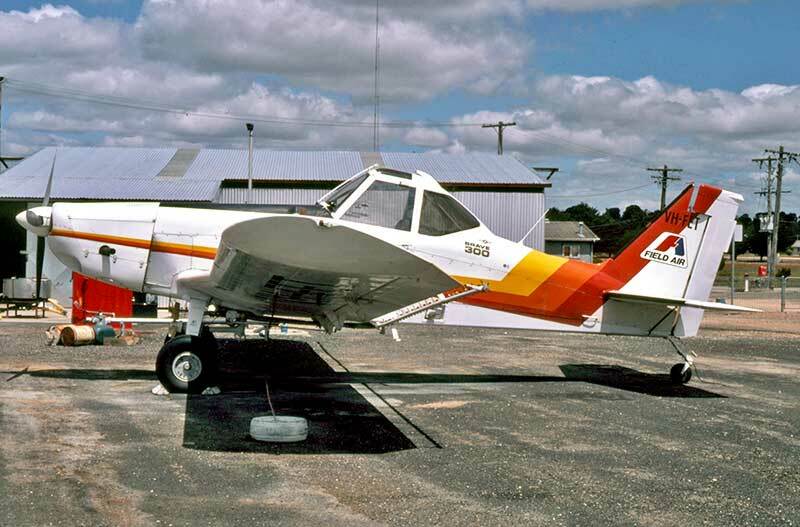 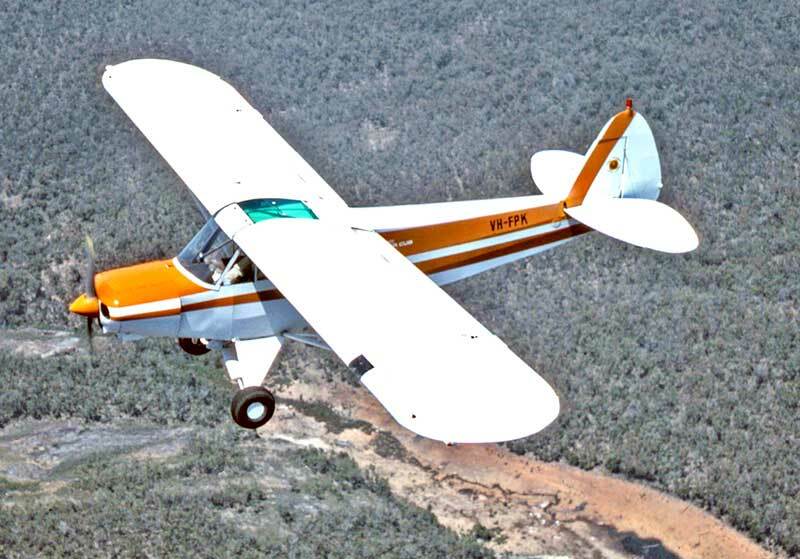 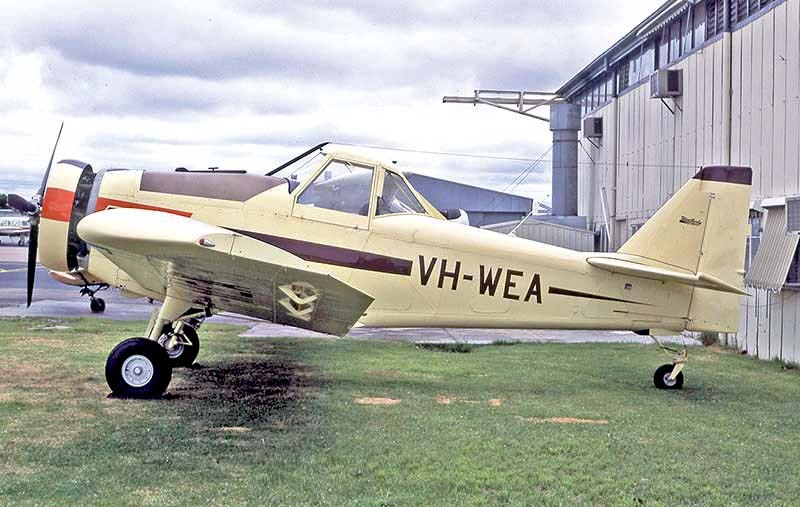 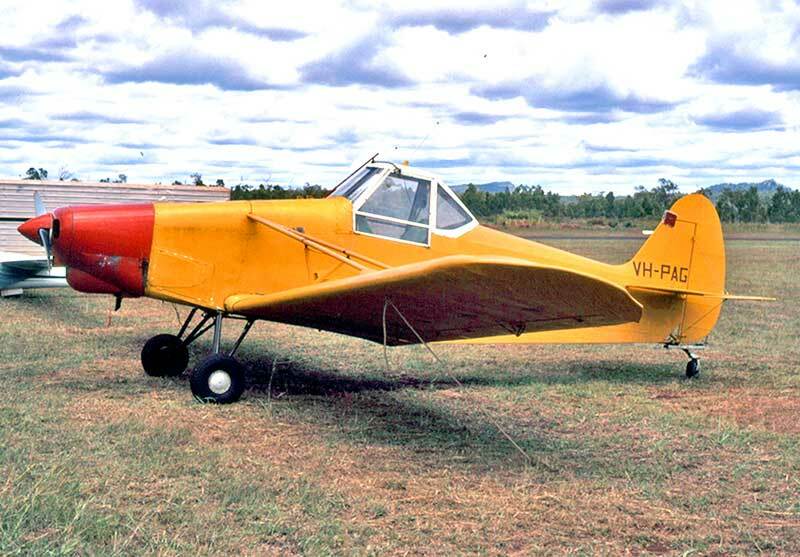 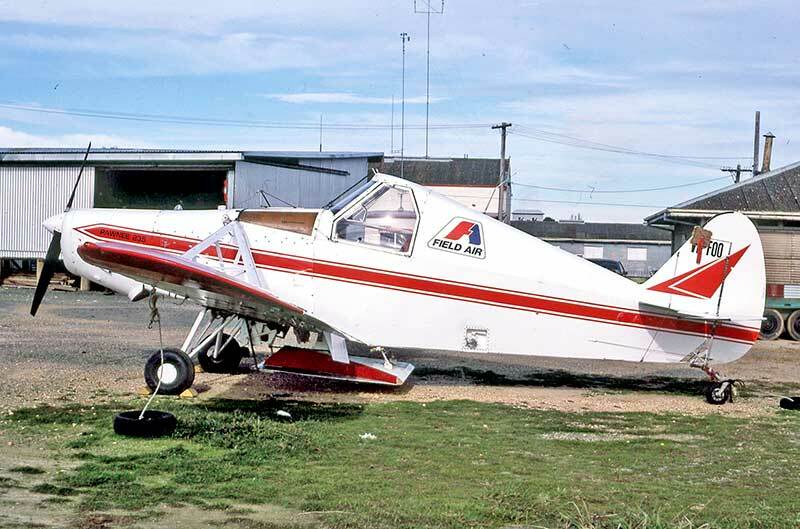 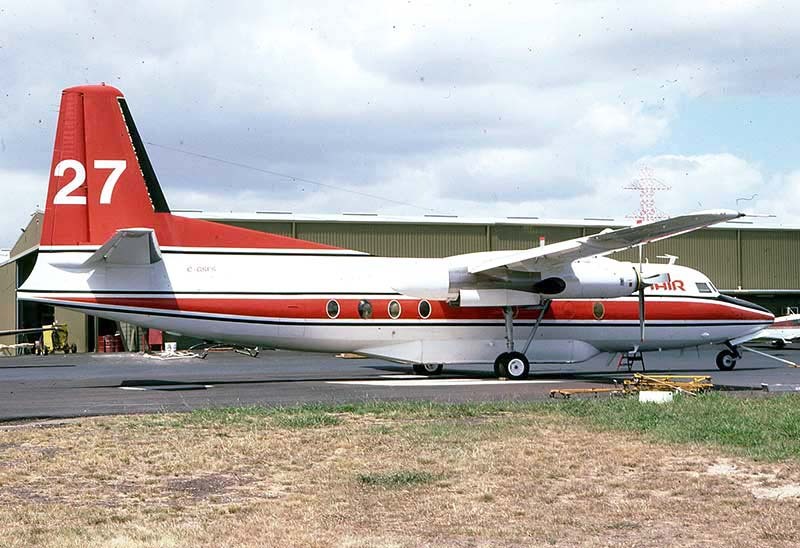 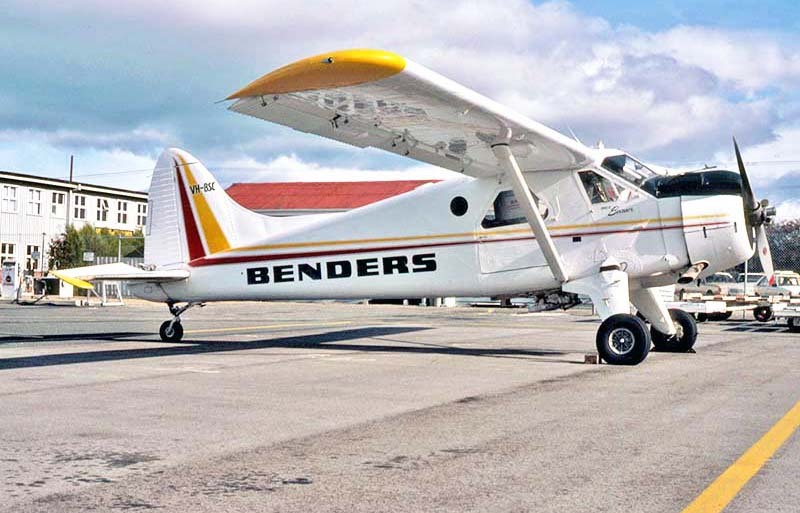 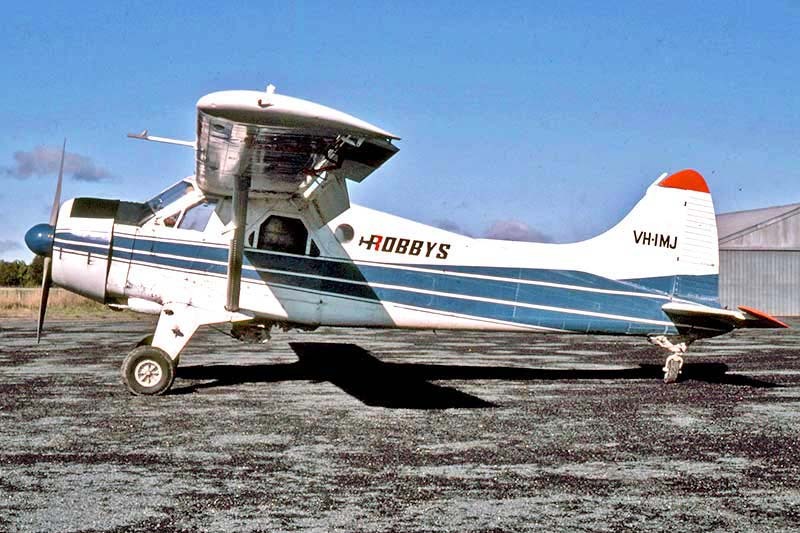 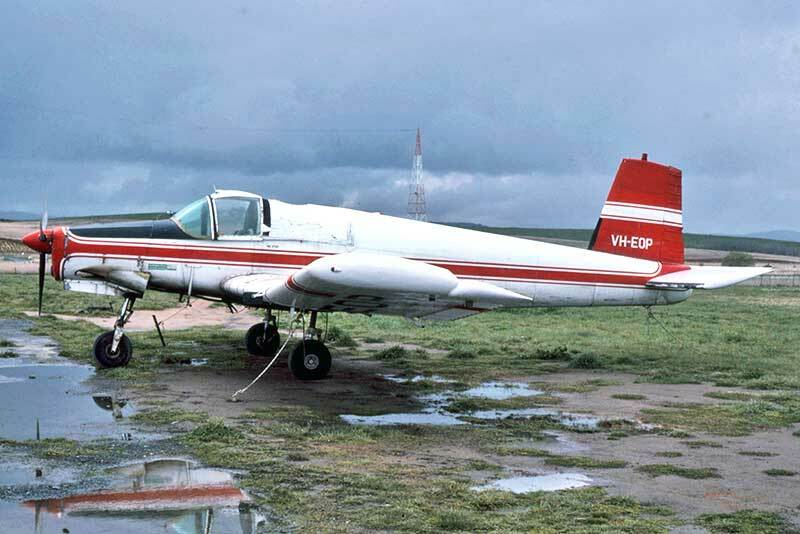 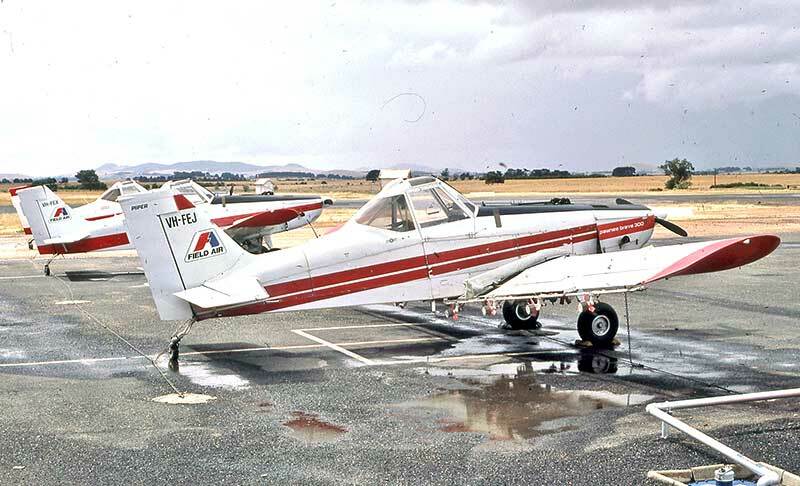 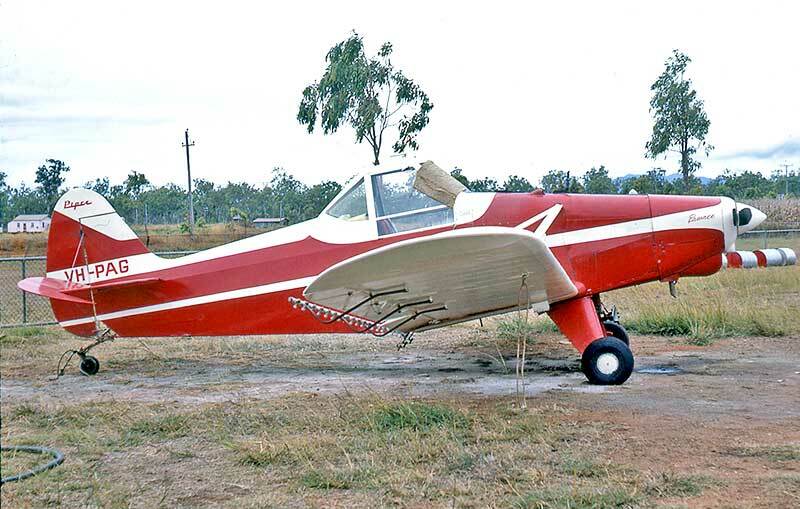 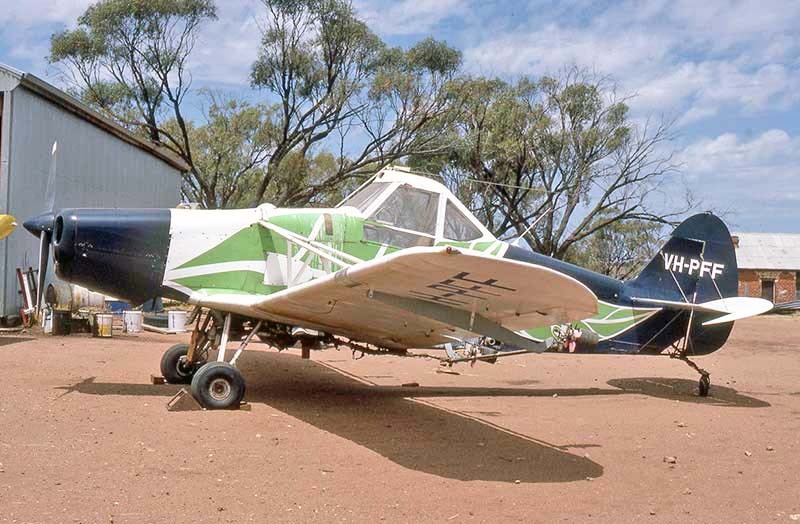 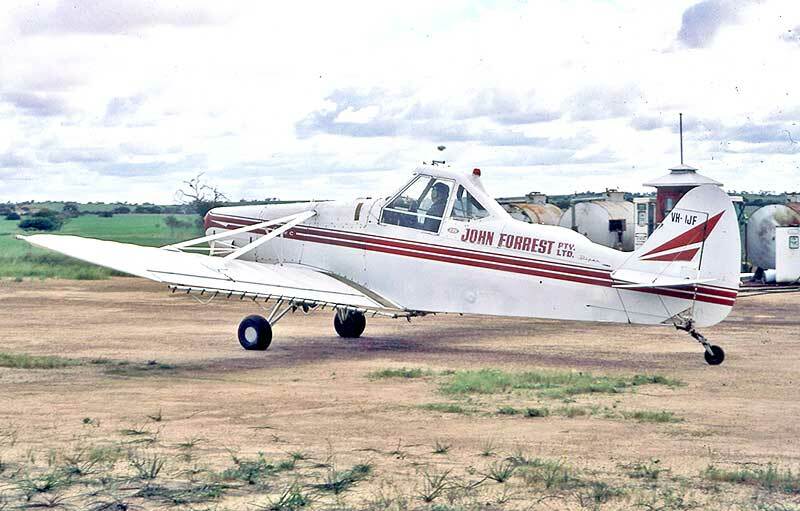 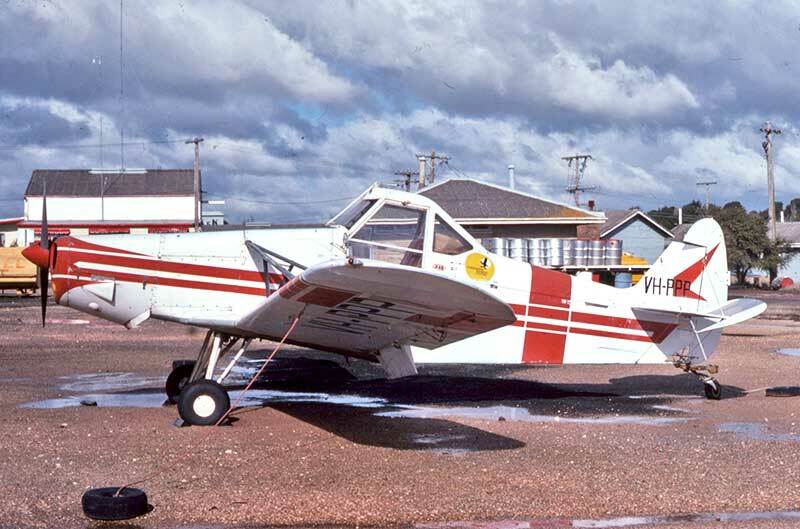 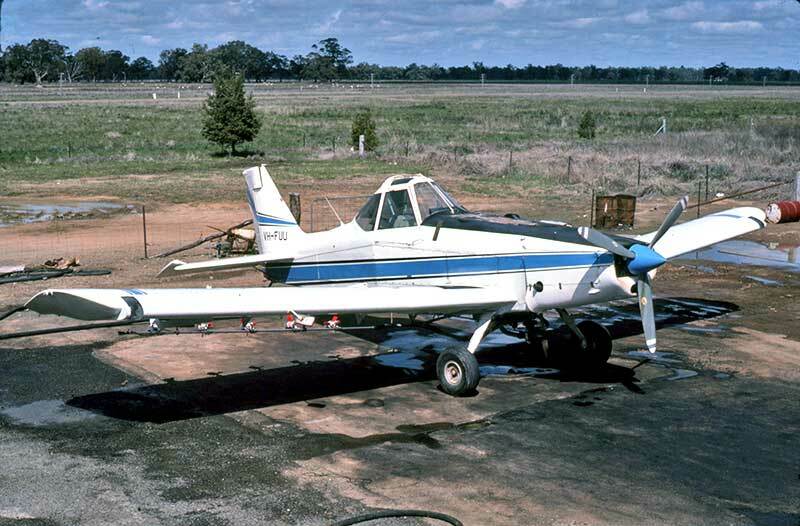 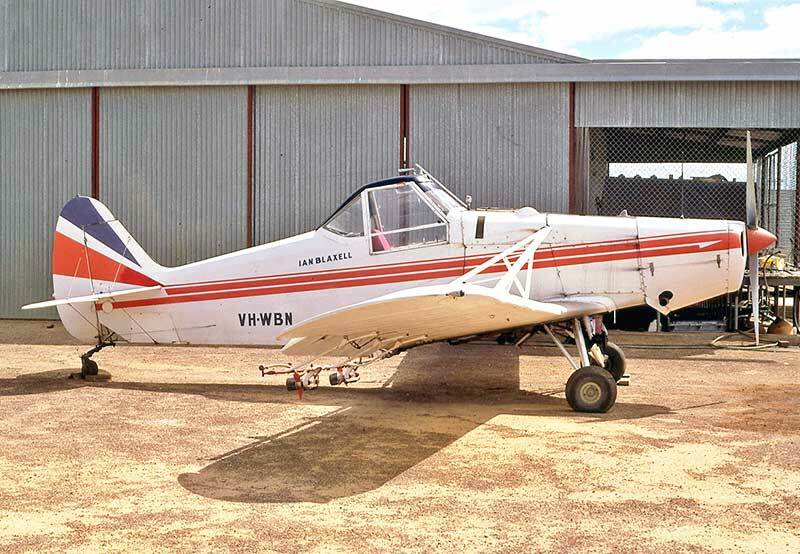 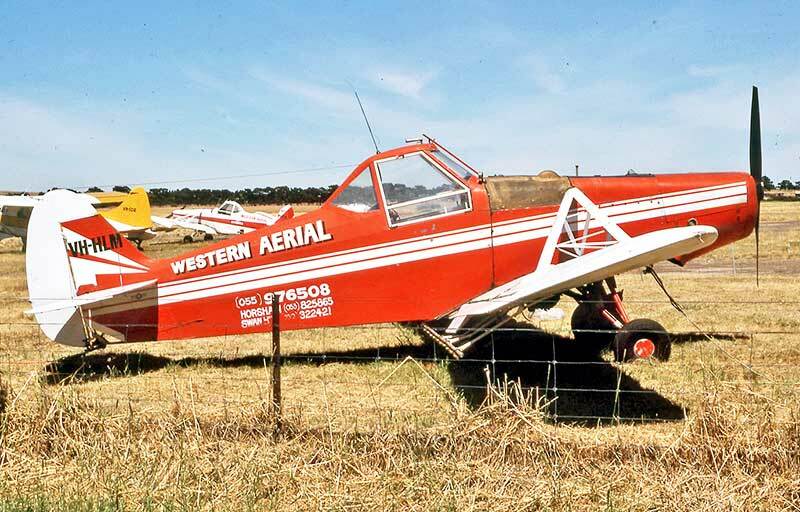 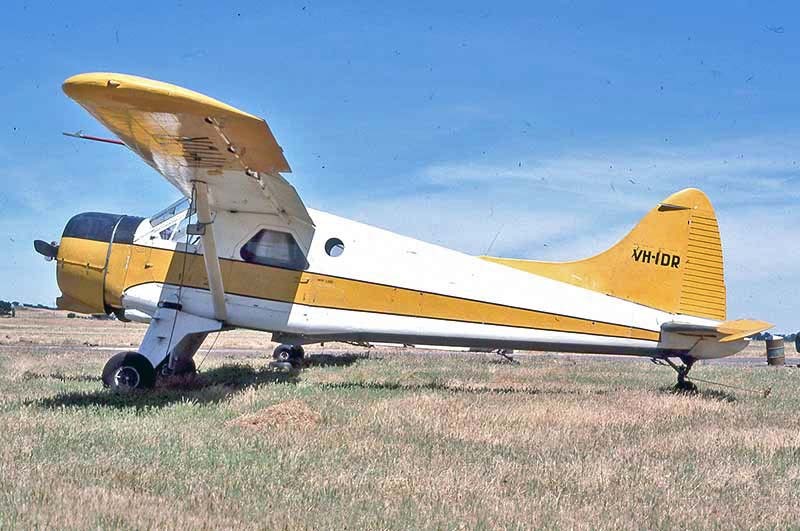 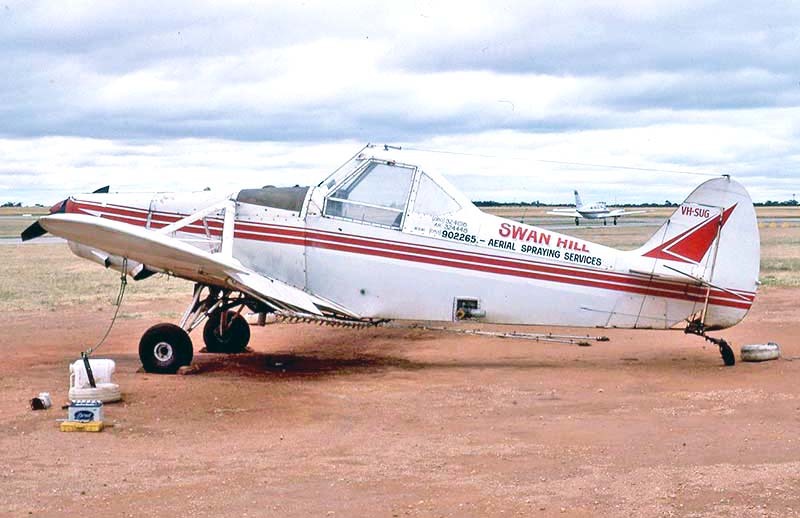 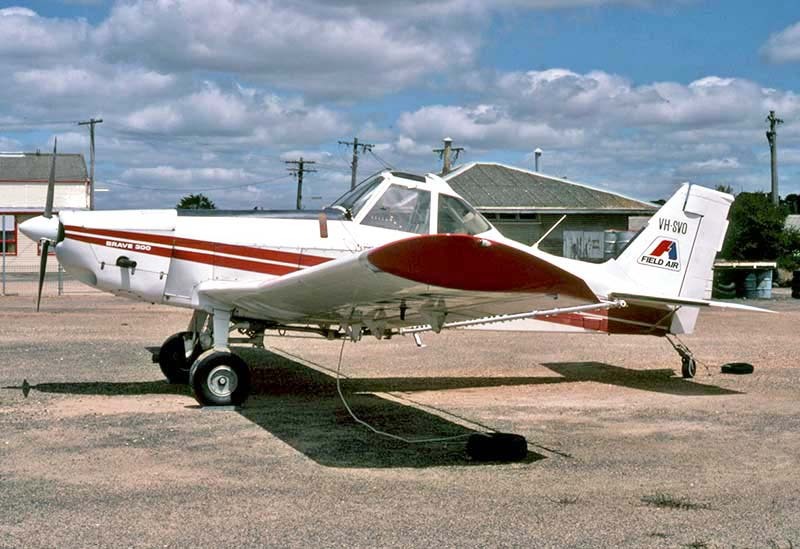 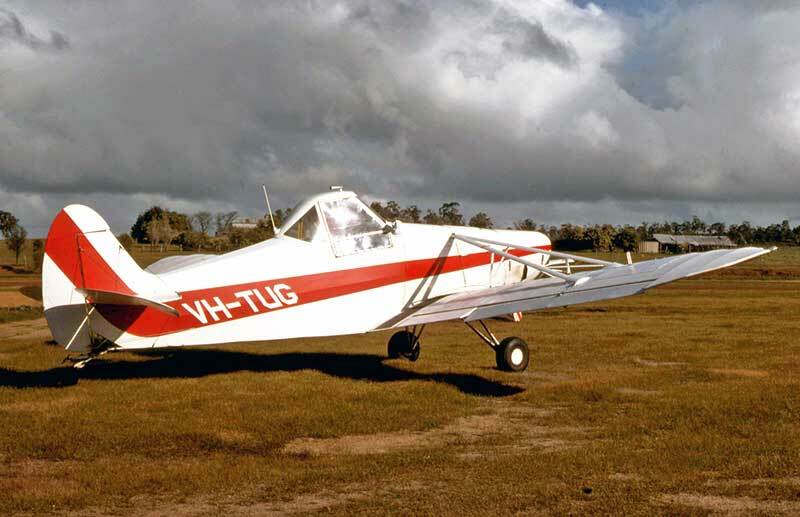 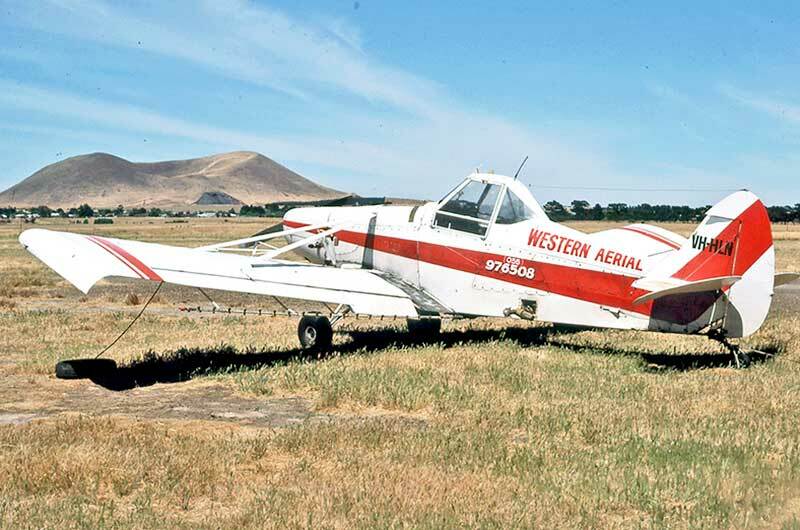 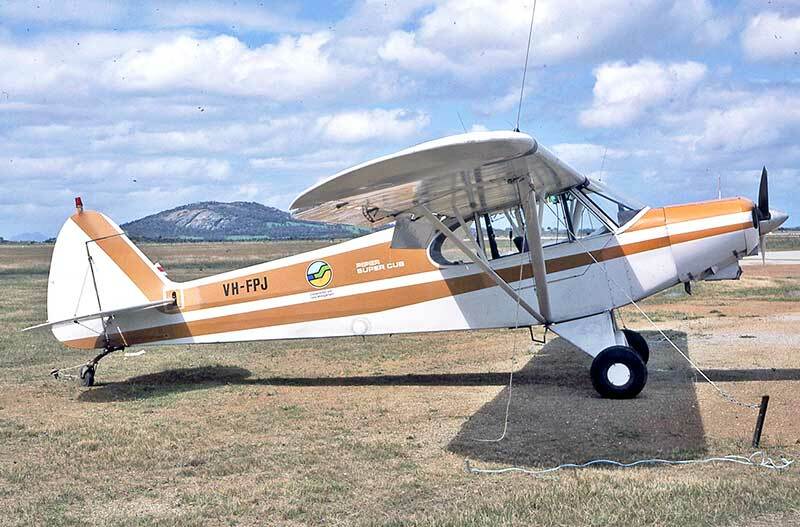 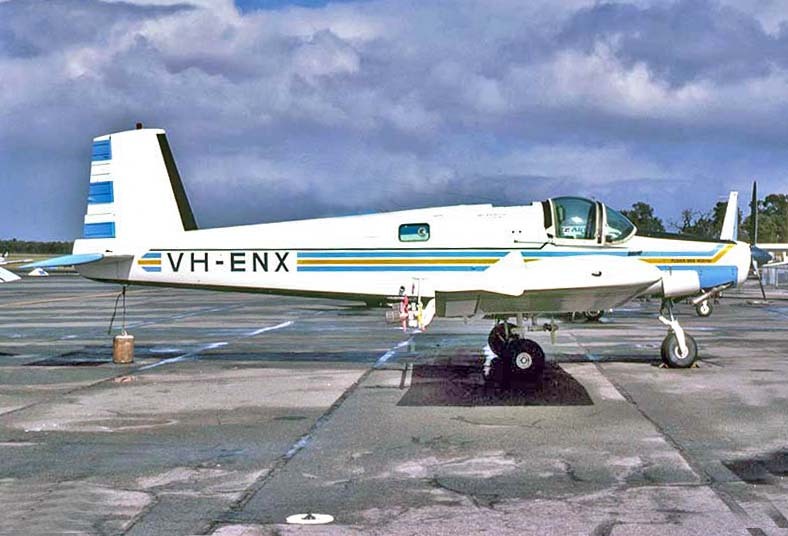 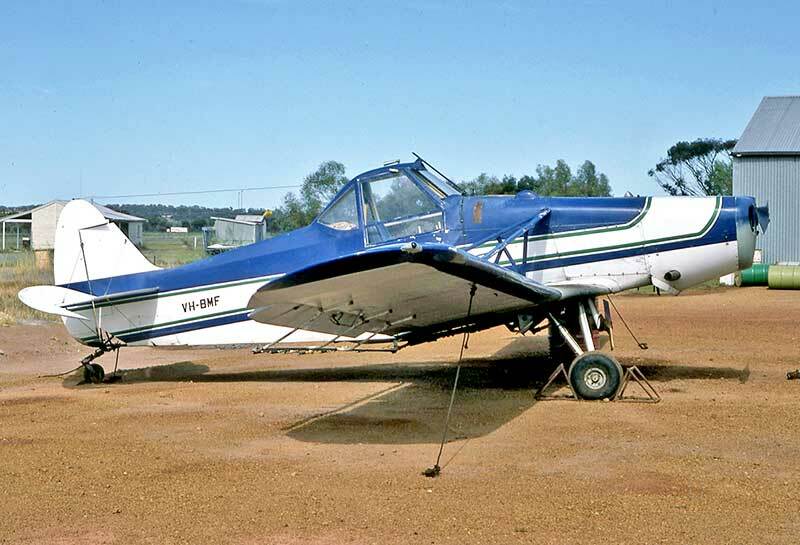 Flashback: here's VH-PAG in original Piper paint scheme at Mareeba in the Sixties while with H.P.Squires Aerial Spraying. 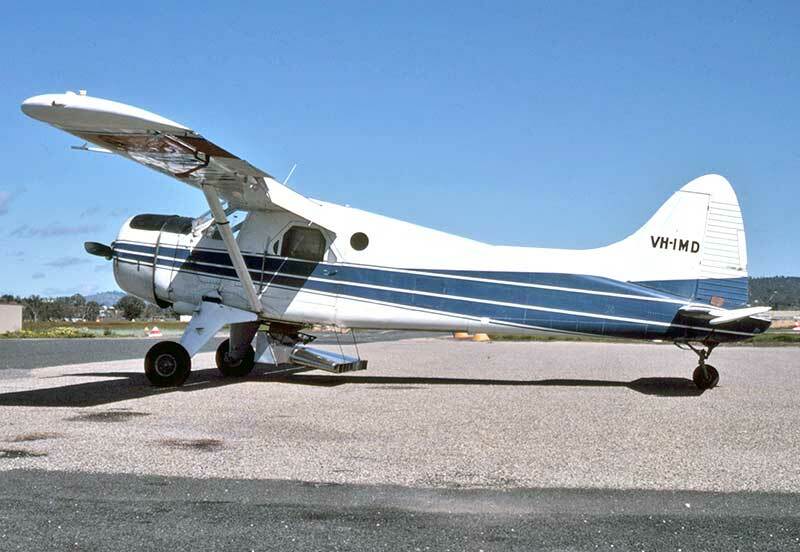 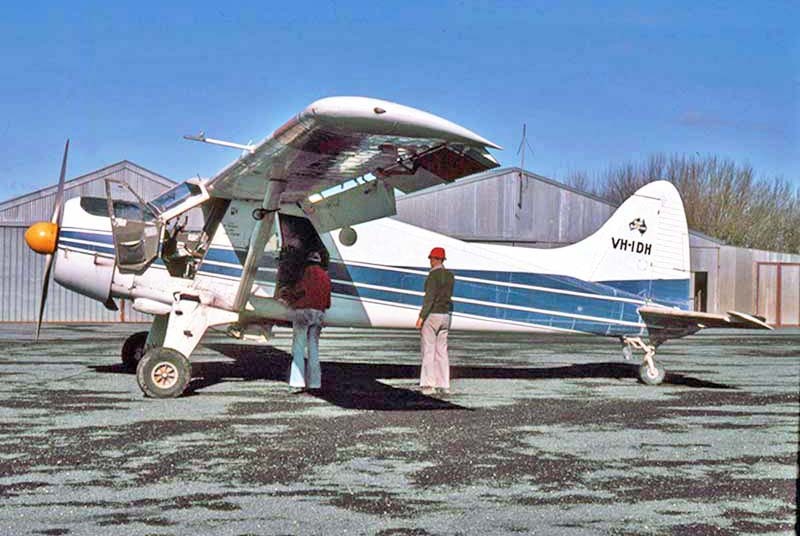 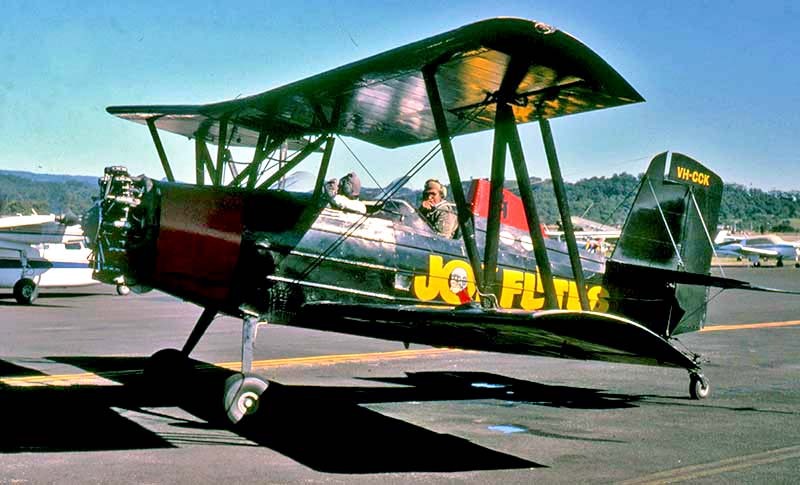 Piper's development of the PA-25 Pawnee range was the bigger PA-36 Brave. 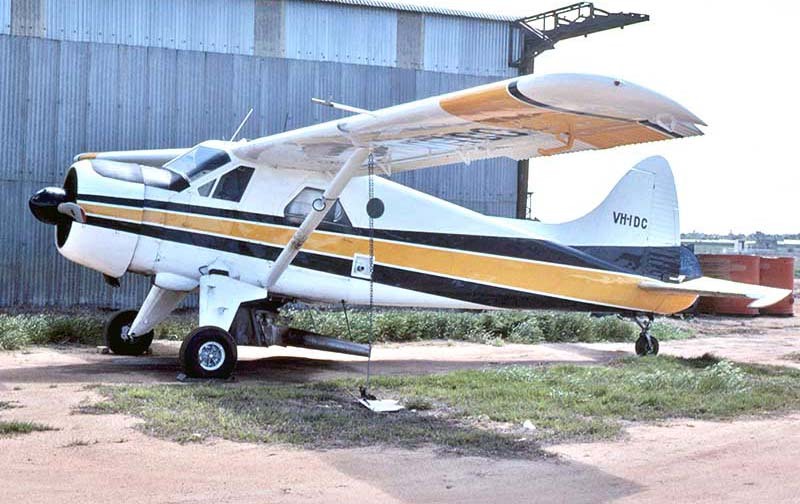 VH-ABU was an example of Transavia's latest model in the Airtruk range, the PL-12 Skyfarmer T-300A.